enver has seen its share of high-profile events over the years. There have been NCAA basketball championships, an MLB All-Star Game and more than a few final stages of major cycling tours. 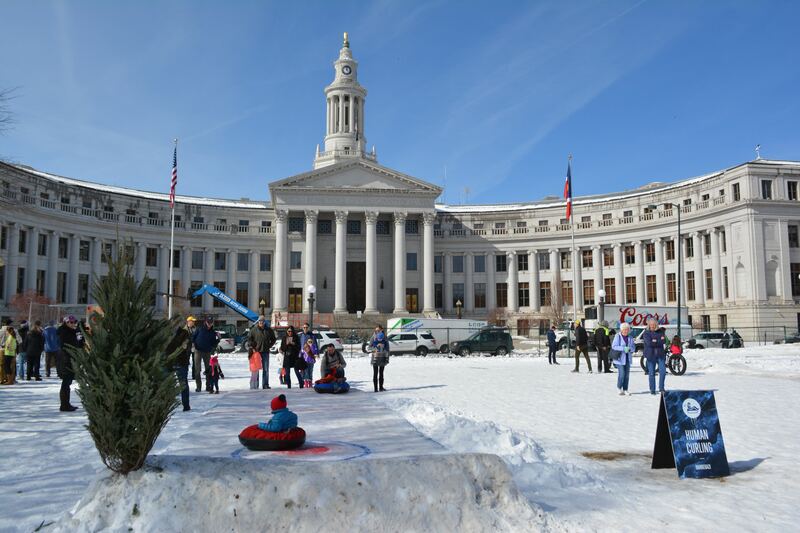 But the 60-foot wall of ice in Civic Center Park that served as the venue of a major international ice climbing competition February 23–24 was a first. And it wasn’t just a first for Denver: It was a first for North America. 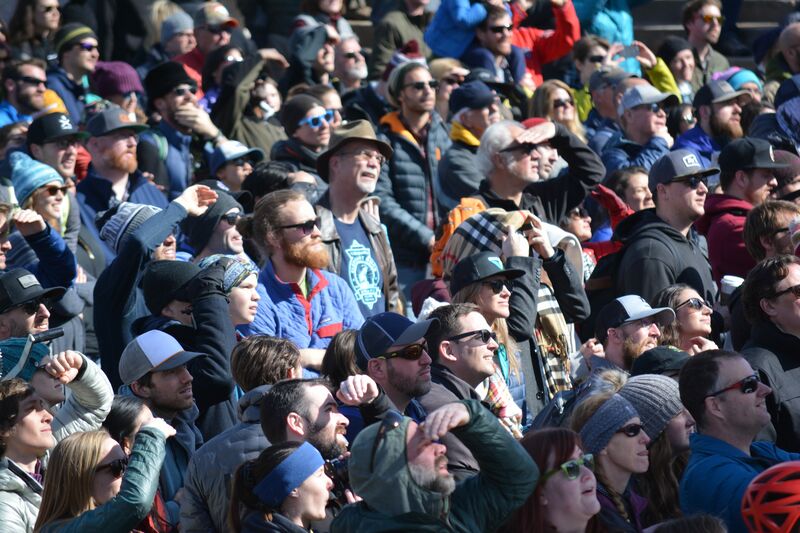 Denver played host to the final stop on the Ice Climbing World Cup tour. 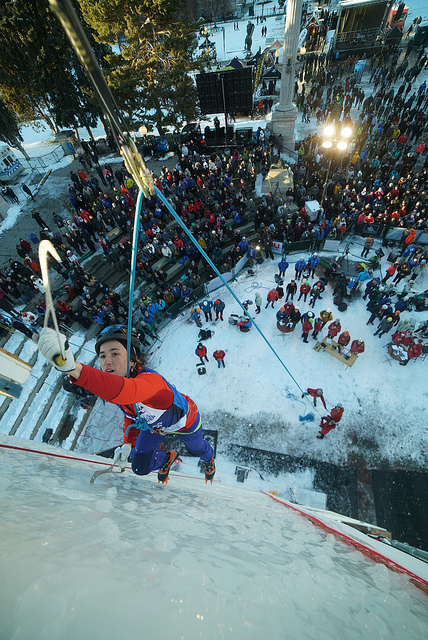 Athletes in the International Climbing and Mountaineering Federation (UIAA) event competed in two disciplines at the doorstep of the Colorado State Capitol and Denver city government headquarters, while a winter festival that featured axe throwing, an ice maze and human curling entertained visitors at the free event. 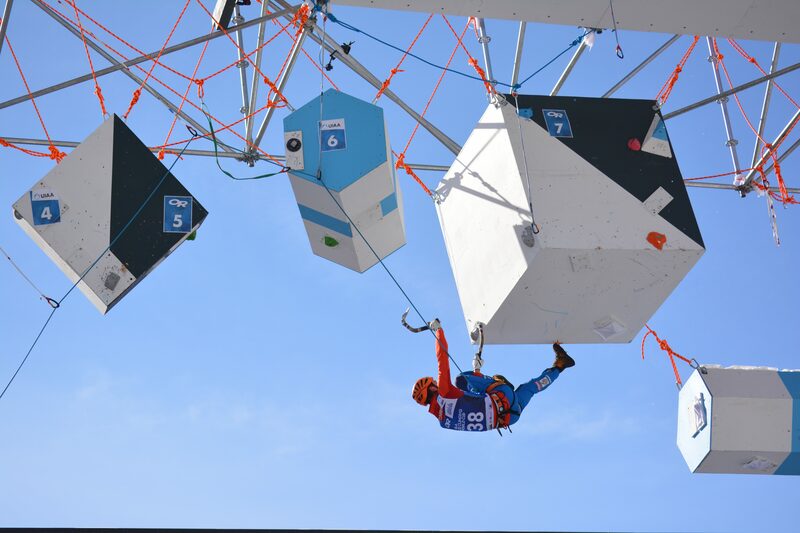 The event comes at a key time for the sport of climbing. 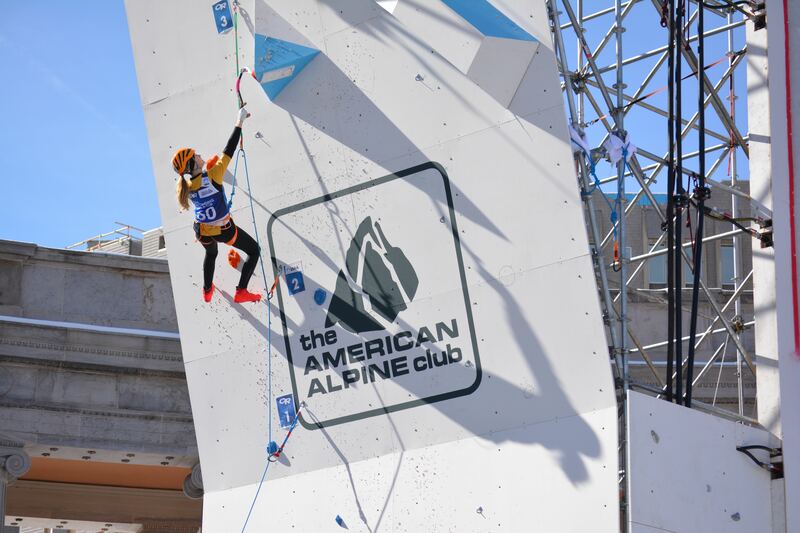 The traditional form of the sport will be on the program at the 2020 Olympic Summer Games in Tokyo and Hormuth said there is hope interest in that version will translate into interest in ice climbing as well. UIAA is also working to get ice climbing on the program for the 2026 Winter Games in Beijing. “Part of what we want to do is gain visibility for the sport in general but also so we can gain visibility for people who may want to join the USA climbing team,” Hormuth said. As for the 60-foot walls built for the Denver competition, there was a first there, too. Competitors faced off in the sport’s two disciplines: speed and lead. 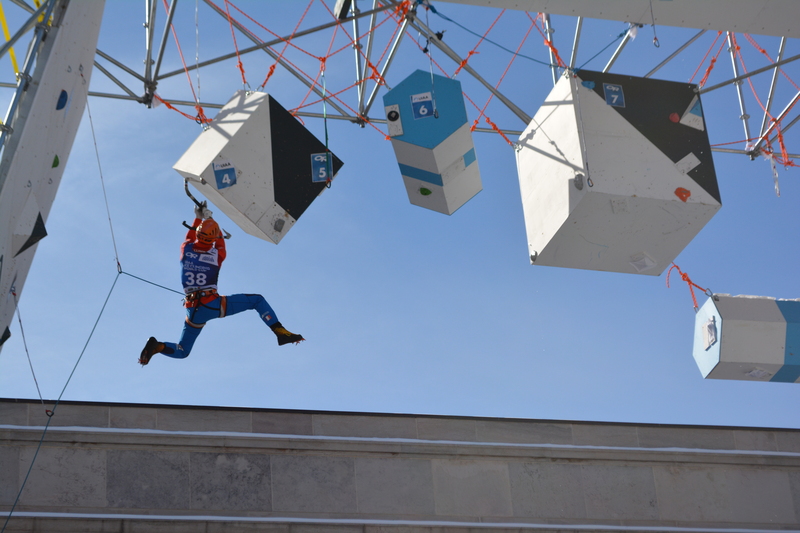 Speed is pretty much what you would imagine, with the goal to be the fastest to the top of the wall of ice using ropes fastened to the top of the wall. The lead discipline, however, was not performed on ice, although it required athletes to use the same tools of ice climbing to ascend. Lead is a more technical discipline where climbers use crampons with spikes to gain footing as they ascend the wall using specialized ice tools that they can hook into holds as they go. The discipline requires balance and precision with participants being awarded points for how far they advance in seven and a half minutes. Once up the wall, they also have to navigate cubes and other shapes before ascending to the very top of the structure. The plywood surfaces allowed organizers to build an even more technical course than they could have on ice. For the speed discipline, though, an ice wall like the one used in Denver had never previously been built in the United States. While the temperatures in Denver are cold in the winter, they were not cold enough to spray a standing wall with water to make it freeze. So instead, a technique was used to “grow” ice on the ground using a frame to surround the shape, similar to how a hockey rink is frozen. Coils were placed within the structure with cooling liquid, powered by a chiller. The structure was then lifted from the ground to the air to form a vertical wall. From there a slow drip of water kept the freeze going, 24 hours a day for three days. To be safe, the climbing surface faced north to keep the coldest possible conditions.